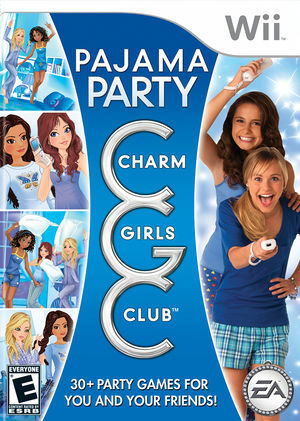 In Charm Girls Club: Pajama Party for Wii, girls can play over 30 mini-games! Girls will be up all night bed bouncing, hair teasing, pillow fighting, dancing, scooter racing, posing, and playing together in ways that will keep the giggles coming! The graph below charts the compatibility with Charm Girls Club: Pajama Party since Dolphin's 2.0 release, listing revisions only where a compatibility change occurred. This page was last edited on 18 January 2018, at 00:33.